Nh is a simple, versatile, practical appliance that can be laid or suspended. 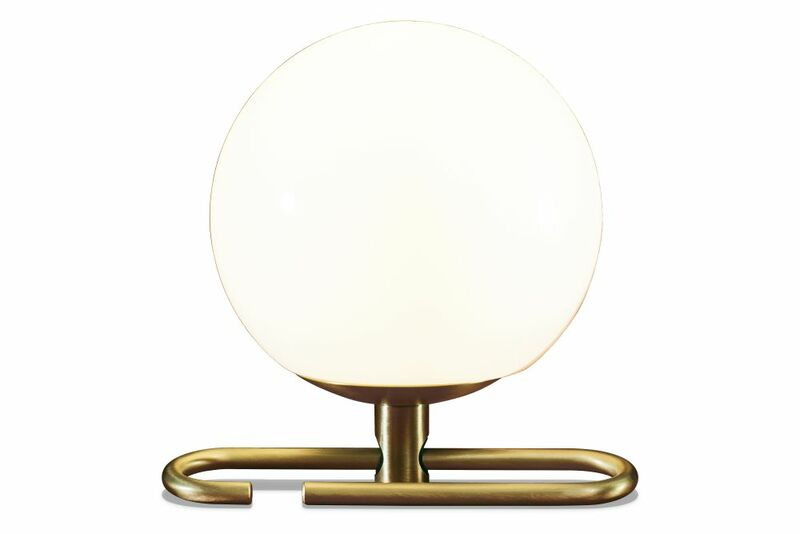 A white blown glass sphere slides along a brushed brass ring, which allows it to take different positions and to freely adjust and direct the diffuser. The frame becomes a support, a hook to hang the appliance to the wall, or a handle promoting an interaction with light. Nh continues research on the dynamic interaction of experience, details, materials, form, and light that Neri&Hu are pursuing with Artemide. The selected materials represent a perfect combination of tradition and innovation, as well as the expression of responsible and sustainable design, also conveyed by the use of an in-box low-consumption retrofit LED source and by the eco-friendly cardboard packaging.